BREATH FLOW THRIVE : For the Love of Mariachi! For the Love of Mariachi! 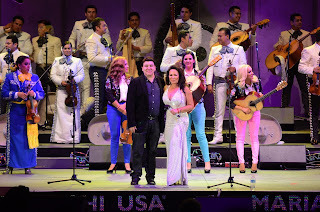 Jose Alfredo Jimenez Jr.,son of legendary singer/composer Jose Alfredo Jimenez, joins Rodri J. Rodriguez, founder and creator of the MARIACHI USA Festival, on stage during the 24th Annual MARIACHI USA Festival at the Hollywood Bowl on Saturday, June 29, 2013. The Festival celebrated a special tribute to the legendary singer on the 40th anniversary of his passing. First, I'd like to thank Rodri J. Rodriguez for the opportunity to attend the MARIACHI USA Festival. It was amazing! Sincerely amazing. I walked away with my heart full of love and renowned vigor for my beautiful culture. I was blessed to attend a sold-out Hollywood Bowl featuring four and a half hours of non-stop mariachi music with a special tribute to the legendary singer, songwriter, Jose Alfredo Jimenez. Created and produced by Rodri J. Rodriguez, the Festival consisted of a night full of the best mariachi music including: the famous Mariachi Vargas de Tecalitlan from Mexico; Grammy nominated Mariachi Los Arrieros del Valle from Texas; Mariachi Estrella de Jalisco and Mariachi Los Reyes from Los Angeles; and the Grammy nominated ladies of Trio Ellas. 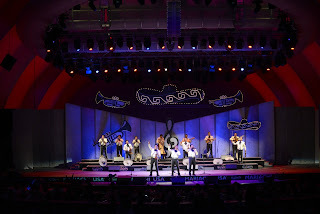 The famous Mariachi Vargas de Tecalitlan on stage during the 24th Annual MARIACHI USA Festival at the Hollywood Bowl on Saturday, June 29, 2013. I took my mom who thoroughly enjoyed it and was surprised at how many people were in attendance. She had heard of the event, but never attended, because she never had the information. I'm so happy to share the information and let others know about this AWESOME event. We met many people who were in attendance for the first time, just like us. It made me proud to see so many people taking an interest in our culture and music. 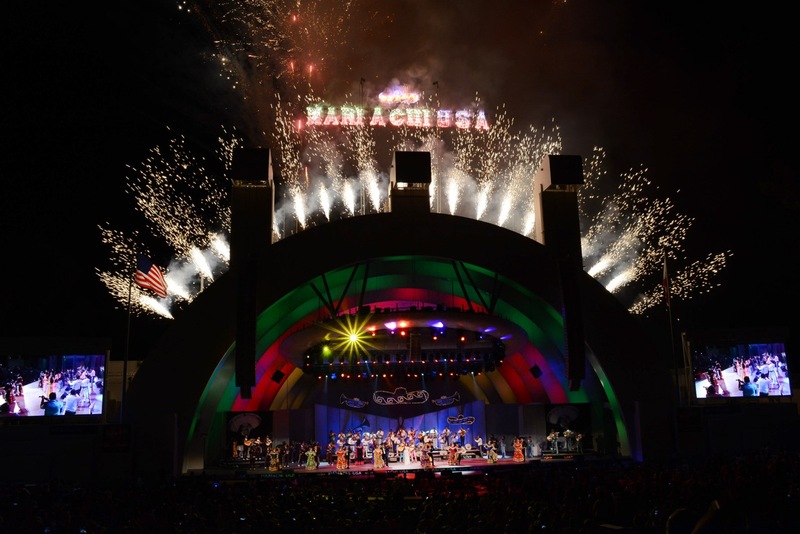 It was spectacular to see a PACKED Hollywood Bowl. Every seat was taken and all hearts were full of love for the music and the legend, Jose Alfredo Jimenez, among the other talented artist who partook in this event. We sang, we cried, we became one under the stars and unified for the love of Mariachi. The evening ended with an impressive firework finale. I am so thankful to have attended and guarantee I will attend next year. 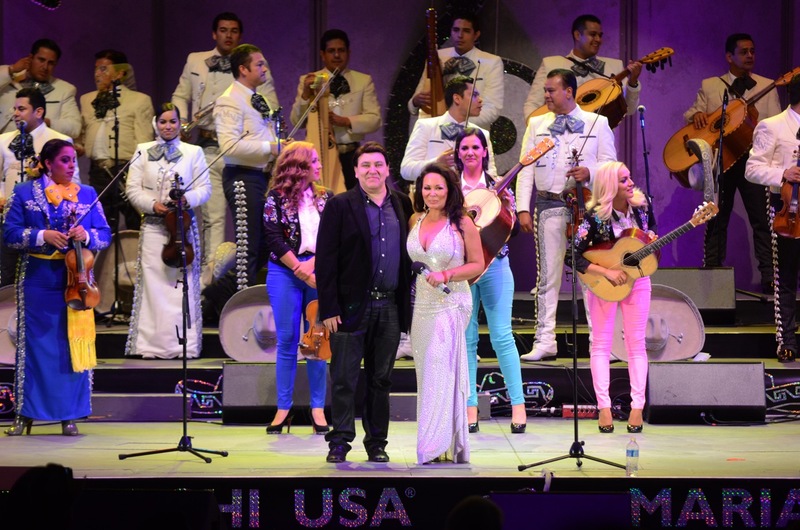 This year, Rodri also shared the launch of MARIACHI USA Radio for mariachi music lovers, giving us the opportunity to enjoy mariachi music 24 hours a day, 7 days a week. Check out www.mariachiusa.com/radio for a taste of what my night was like. 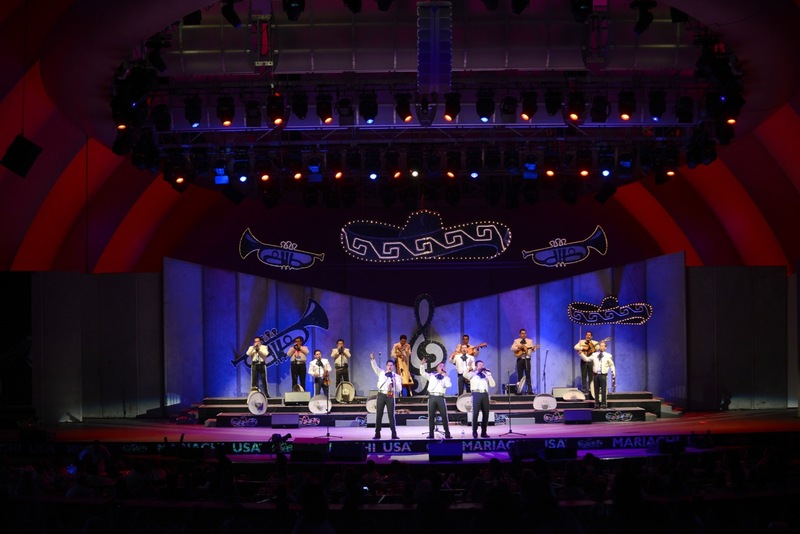 This was the 24th year of the MARIACHI USA Festival and I look forward to the 25 year! Thank you Rodri J. Rodriguez for producing a beautiful show! 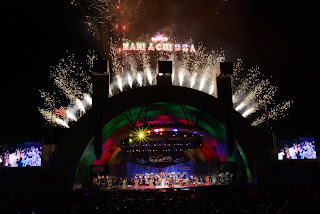 The Hollywood Bowl lights up with fireworks during the grand finale of the 24th MARIACHI USA Festival on Saturday, June 29, 2013. Disclaimer: I was compensated tickets to attend the MARIACHI USA Festival.